A tribute to Parisian Femininity. The vibe is flirty, a little delicate, ever so slightly vintage. 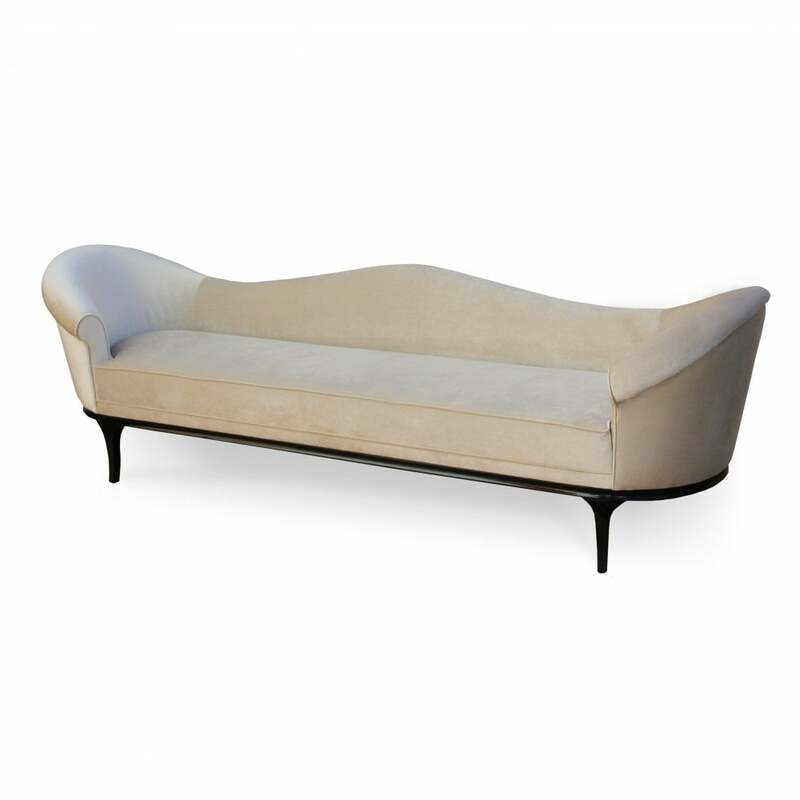 Fully upholstered tight back sofa with an elegant lacquered band leading to a sleek and elegant foot. Upholstery: KOKET Fabric Collection or COM (POA). Base: Any RAL Classic colour matt or high-gloss; ebony.